Amino acids are the building blocks of protein, and are found in many food sources. Some amino acids can be made by your body, but others, known as the "essential amino acids," must be obtained through food or supplements. Although amino acid supplements are often associated with athletes, supplementation may benefit anyone. This is because amino acids produce enzymes and are also involved in mood, concentration, sleep and a number of other physiological phenomena. 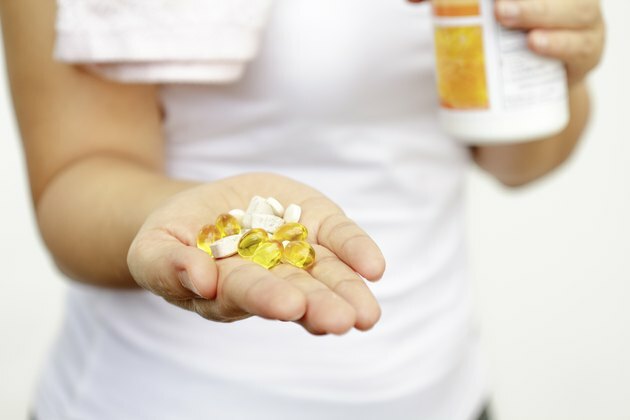 While amino acids may have benefits, you should consult a doctor before using any supplements. Although most fat loss supplements contain high levels of stimulants and other ingredients that claim to increase your metabolism, amino acid supplements may support fat loss. According to a study published in "Menopause" in 2007, supplementation of a soy amino acid supplement for 3 months helped fight the growth of abdominal fat in post-menopausal women. use of an amino acid supplement in conjunction with a reduced-calorie diet may offer superior fat loss compared to dieting alone. Amino acids and protein are known to aid in the muscle-building process when used in conjunction with resistance exercise, but research indicates amino acids may also benefit muscles that are not being trained. A study conducted at the University of São Paulo and published in the June 2010 issue of the journal "Muscle & Nerve" found that supplementation of the amino acid leucine in rats helped prevent muscle breakdown in muscles that were purposely immobilized. The researchers explain that leucine reduced the expression of genes that break down muscle during periods of inactivity. Amino acids assist in muscle building and help reverse muscle breakdown, which can aid in building muscle mass. Exercise science research suggests that these tendencies may also assist in enhancing exercise performance in endurance sports. A study, conducted by the Saga Nutraceuticals Research Institute and published in the February 2009 issue of the "Journal of Nutrition Science and Vitaminology" found that VO2max, a measure of efficient oxygen usage, was higher when using a branched-chain amino acid supplement compared to a placebo. The researchers concluded that the use of an isoleucine, valine and leucine supplement "may be effective to increase the endurance exercise capacity." While amino acid supplements can boost your protein intake, you shouldn't take them without first consulting your doctor. Protein increases the workload on your kidneys, because metabolizing protein creates toxic by-products that your kidneys must flush from your body, and consuming too much protein can negatively affect kidney function. If you suffer from food allergies, some amino acid supplements might cause adverse reactions -- for example, whey and casein proteins might trigger dairy allergies, while soy amino acid supplements are unsuitable for those with soy allergies. A health care professional can recommend an amino acid supplement unlikely to cause adverse reactions, as well as recommend an appropriate dose.